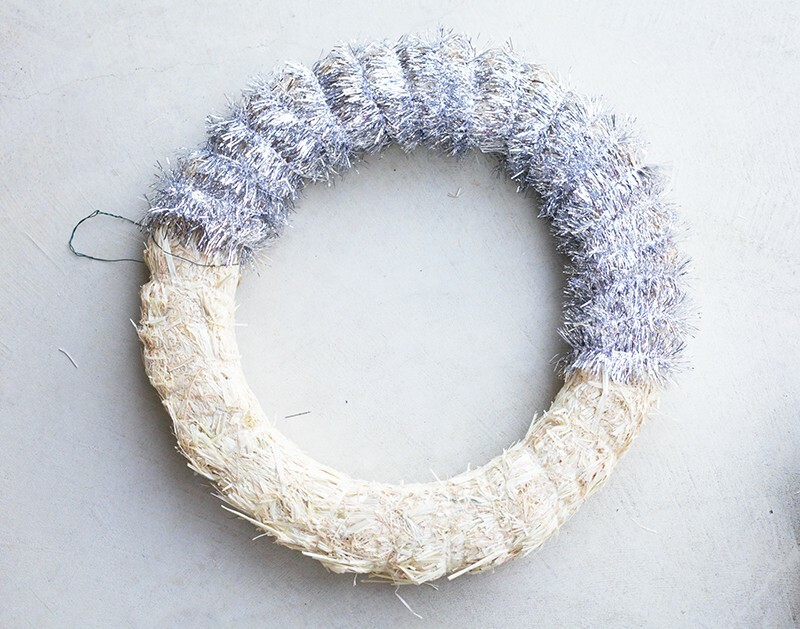 Want to learn how to make an Ornament Christmas Wreath? 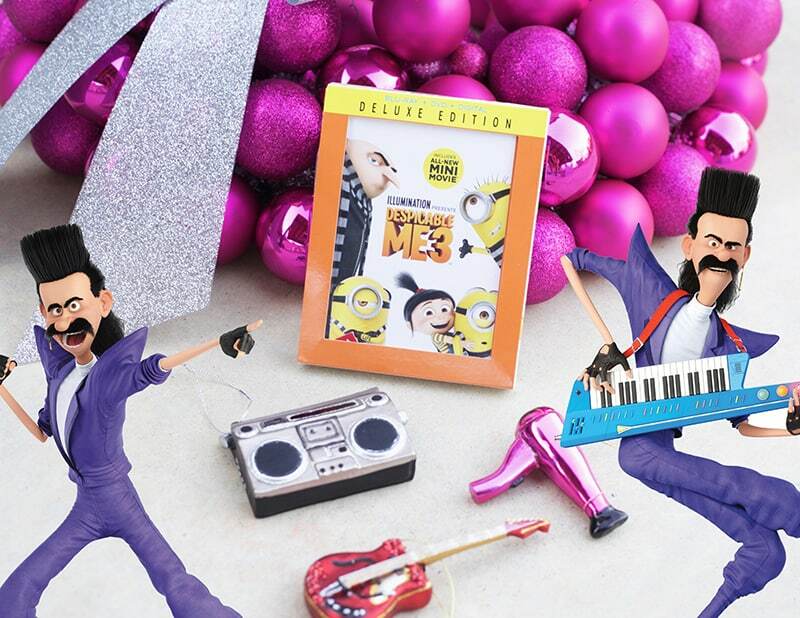 Those Minions get all the attention, so when Universal Pictures Home Entertainment asked us to create a holiday craft project celebrating the December 5th Blu-ray and DVD release of Despicable Me 3 Special Edition, we had to go with 80’s villain Balthazar Bratt. 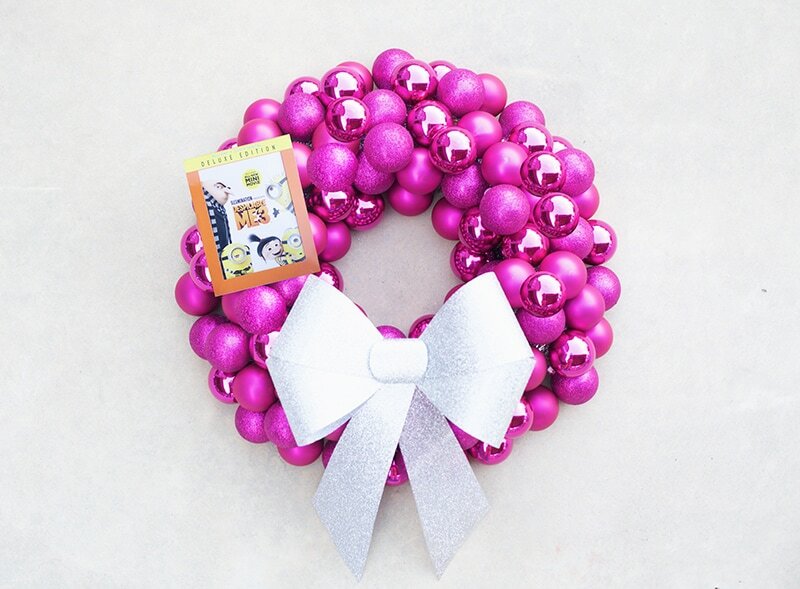 This DIY Ornament wreath is inspired by one of Balthazar’s favorite weapons, Bubble Gum, and it’s sure to make your front door “POP” (punny, ha) this holiday season. 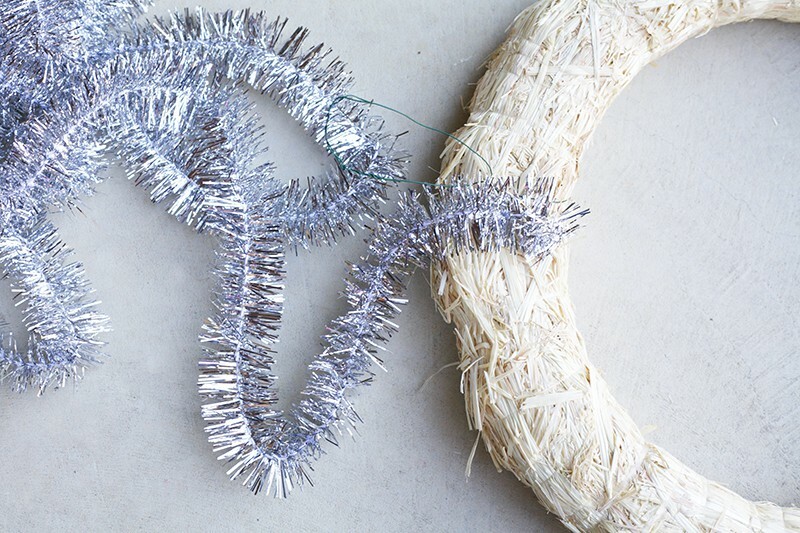 Tinsel Garland – 2-3 packs – The closest color to your ornaments is ideal. 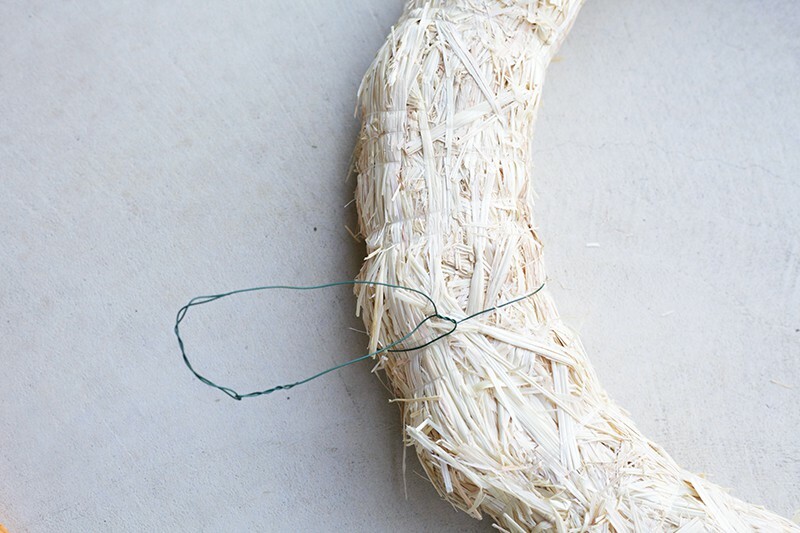 U Pins – 100 – If you would rather use a hot glue gun, that is a great alternative. It depends on if you would like to remove the ornaments in the future. 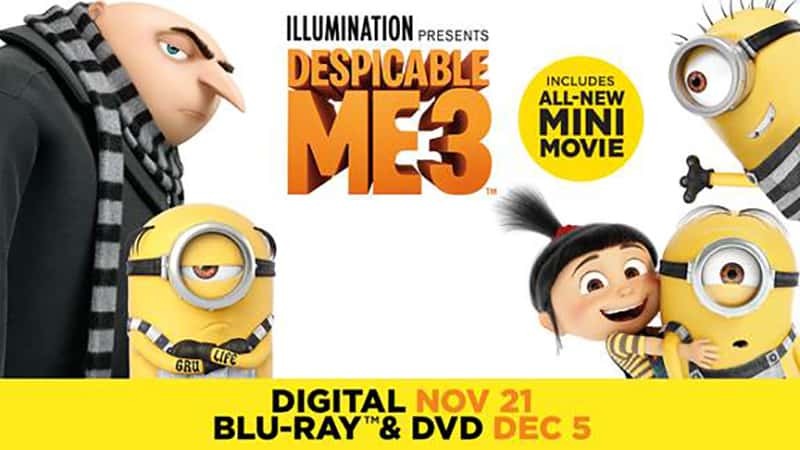 A copy of Despicable Me 3 Special Edition to enjoy with the fam while you learn how to make an ornament Christmas wreath. 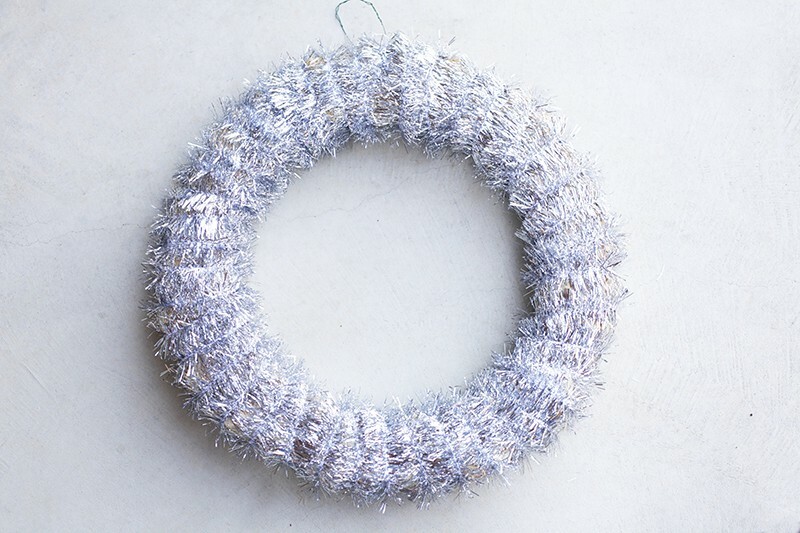 Step 1: Secure a wire loop (or loops) around the wreath for hanging. 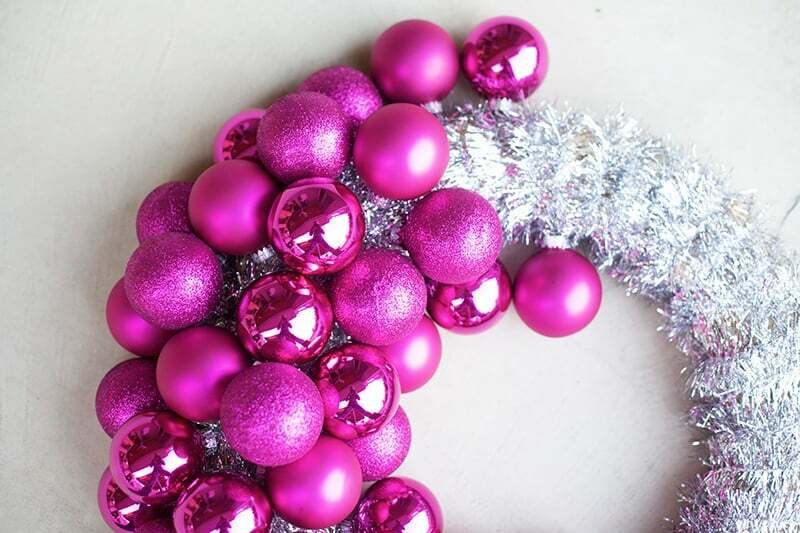 Step 2: Secure one end with a U-pin and start wrapping the wreath with garland. Secure with a u-pin when one garland ends and another begins. Step 3: Starting with the ornaments closest to the “table,” Pin ornaments close together (touching.) If any tops are loose, glue them on with hot glue. 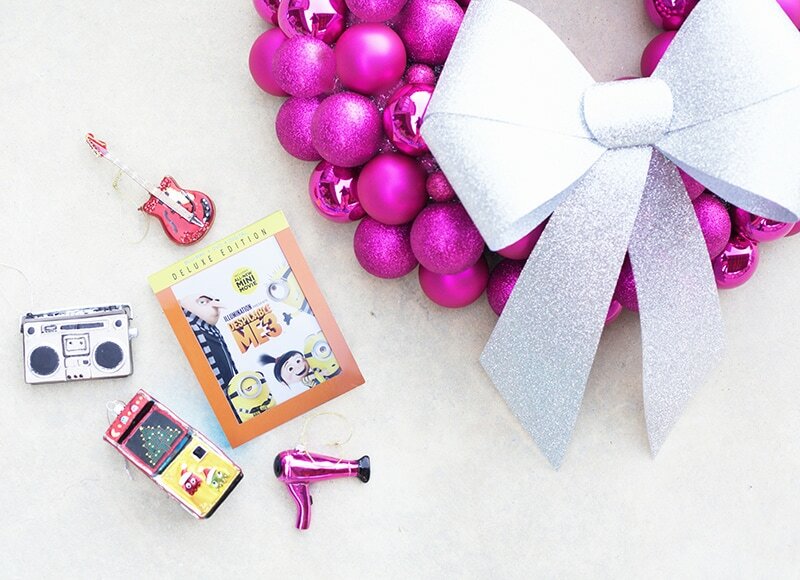 Step 4: Fill in the wreath with ornaments. 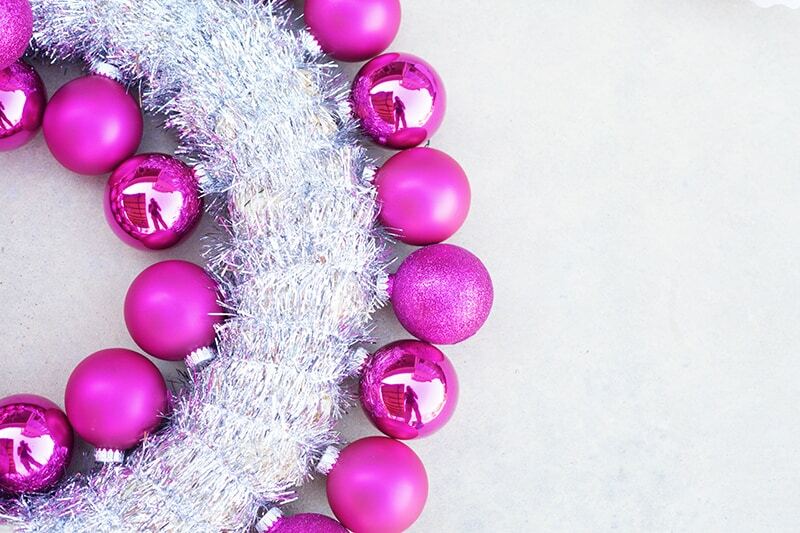 Tip: plan ahead and divide your ornaments among the 4 quarters of the wreath so that your styles of ornament are evenly dispersed. 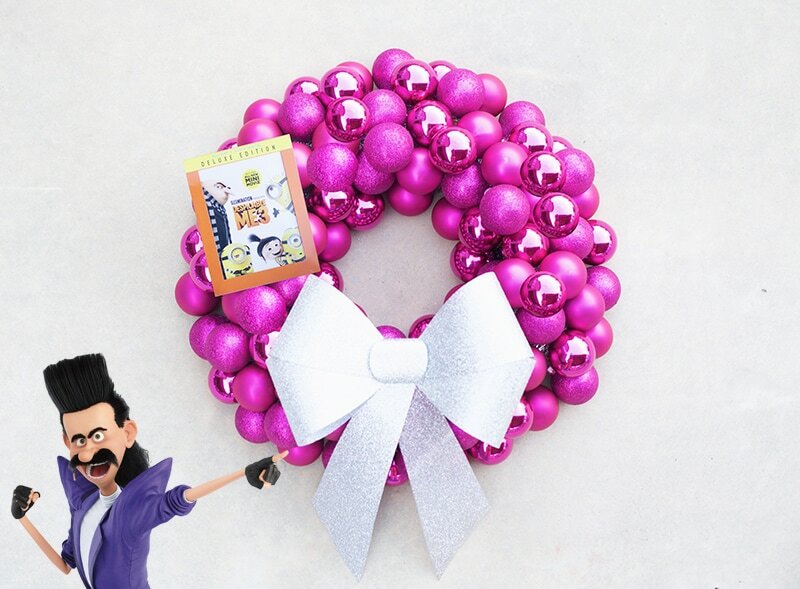 Maybe Balthazar Bratt will finally feel like he has the attention he deserves now that we showed you how to make an Ornament Christmas Wreath in his honor?